Marion got his start in the construction business during high school. 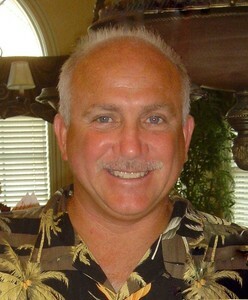 After getting his bachelor’s degree in Business Administration, he founded Bluegrass Fine Homes in 1996. Marion believes that a company is measured by the work it produces and applies this belief to every job the firm takes on, from residential renovations to Custom Home Building. Erika worked as a Customer Service Representative in banking for 15 years. She decided to leave banking to help the family business by taking over all the office responsibilities. She has since branched out by taking over all of the rental part of the business. She enjoys working closely with Marion and hopes to branch out even more in the future by getting her Real Estate License. Bluegrass Fine Homes develops and maintains a phenomenal reputation for standards of excellence resulting in faithful customer loyalty. Detail oriented with remarkable time management utilization quality! Nothing is as important as quality when it comes to building a home. At Bluegrass Fine Homes everyone from the President to the framing contractor who swings the hammer understands the importance of doing things right the first time. At Bluegrass Fine Homes each house is built as though it were our own. We stand behind the craftsmanship of each and every home we sell. You can depend on Bluegrass Fine Homes quality for a lifetime of satisfaction. Our customers are looking for affordable housing and are unwilling to compromise on design of function. You want floor plans that utilize living space. Our customers insist on the use of high quality materials so you never have to question the integrity of your home. Bluegrass Fine Homes delivers this and so much more.